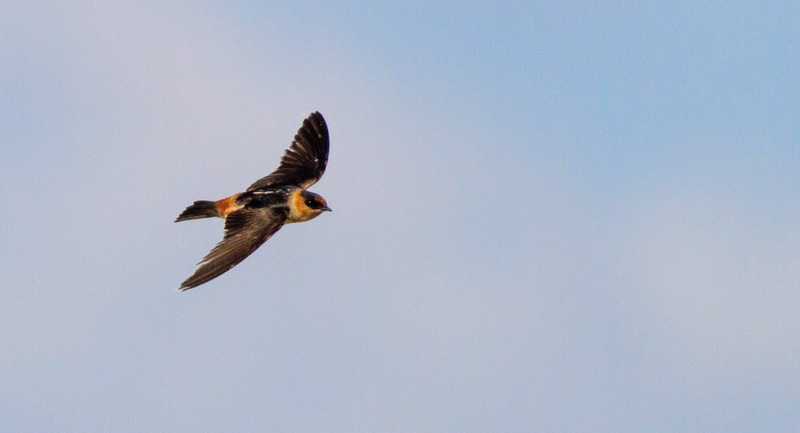 There's at least one Cave Swallow that has been hanging out at Lake Apopka for at least the past three weeks. It looks like it's trying to build a nest under a bridge, which would be really cool, especially if there's a second around. 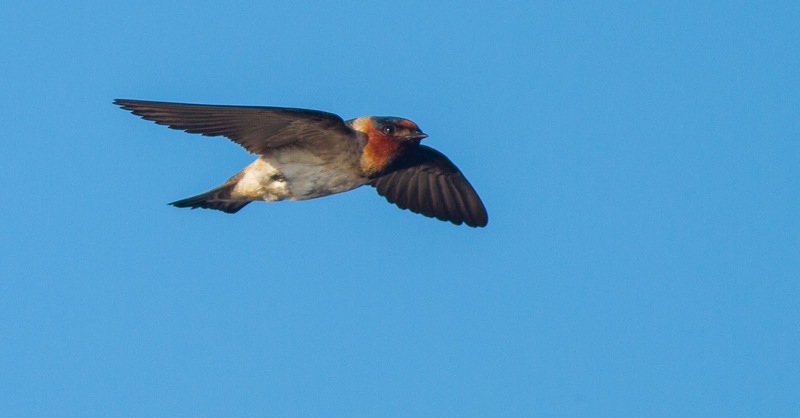 And not too far away, at a bridge over Rte 50, there have been Cliff Swallows breeding there for at least the past few years. These two species look pretty similar, so I thought it would be fun to make a post highlighting how you can tell the two species apart, especially in flight. 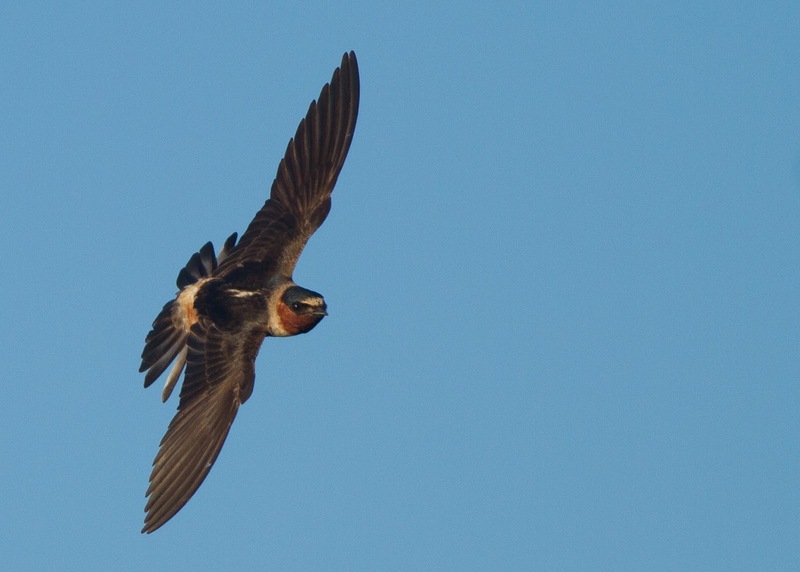 Now most Cliff Swallows in the U.S. have largely whitish foreheads. However occasionally you can find the "Mexican" race, which has a dark forehead, and It think the "Mexican" race looks a bit more like a Cave Swallow. But if you get a good look at the face, It think it's not too difficult to tell them apart. Cliff Swallows have much darker cheeks and throats, and so there's a large amount of contrast between the throat and breast. Cave swallows have much lighter cheeks and throats, and so there looks to be a much greater contrast between the cheek and crown. I think easiest place to look is the cheek--light auriculars contrasting with the crown is a Cave Swallow. 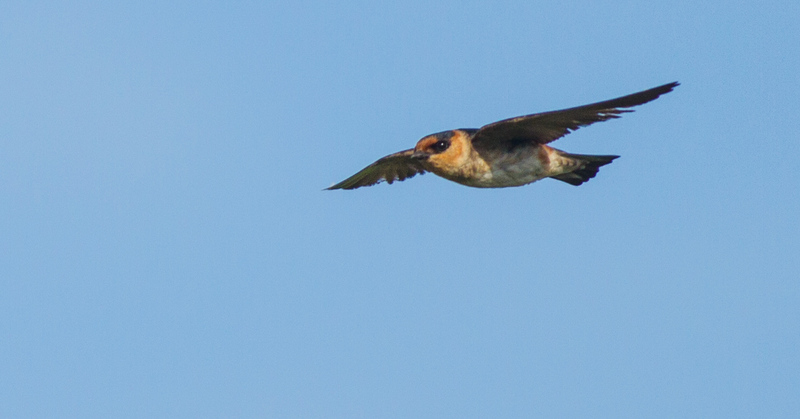 Dark auriculars and throat contrasting more with the breast is a Cliff Swallow.